Our customers sometimes ask about controlling the distribution of their apps. If they can restrict an App’s visibility on the app store to be a certain country, to a certain State or province or even to a certain city. The good news is Apple and Google do give control over this though not at the city level. 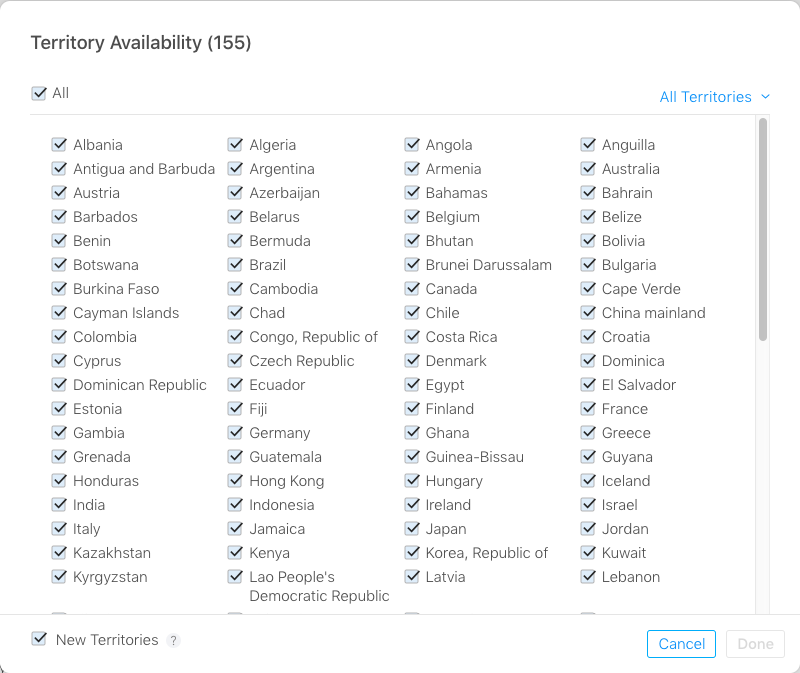 Instead they allow you to restrict an app’s visibility on the App Store by country. 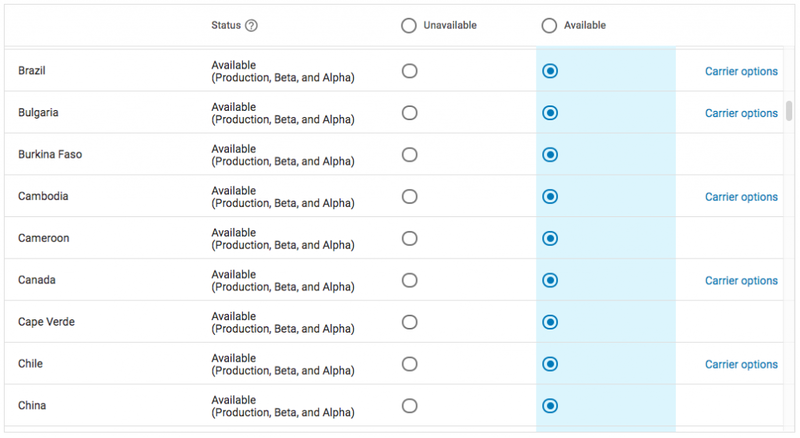 Below you can see screenshots from both Apple and Google’s App Stores and in each case you get a checklist of countries you want your app to appear in. Apple App Store. Country Distribution Checklist. Google Play Store. Country Distribution Checklist. You can select an app to go worldwide or to go to selected countries. When distributing apps usually we recommend that customers target worldwide but there can be benefits to targeting certain countries. As an example some of the customers we work with want to limit exposure to the USA at least initially to avoid the US market initially. This can be because for example their startup is in stealth mode. Another example perhaps you do not want downloads from places other then North America using this ability we can set the countries that your apps appear in. It is easy to do and can be changed at any time without going through an App review.